At Smash Repairs Sydney our car spray paint shop is equipped with the Spies Hecker system, which has the latest German technology. 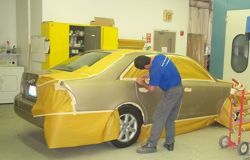 We have two bake ovens that keep drying temperature at an optimum level and will also keep dust and other airborne particles from damaging the wet/drying paint.Smash Repairs Sydney car spray painting services include the important preparation of the panels, these days can be quite involved as plastics are extensively used on a modern cars makeup. These plastic component materials require special attention to the undercoat preparation to insure proper binding and long lasting appearance and finish. 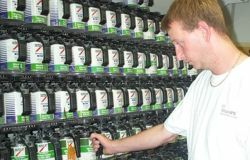 We have prepared many show and racecars so we know many particular issues that special car spray paint finishes require.